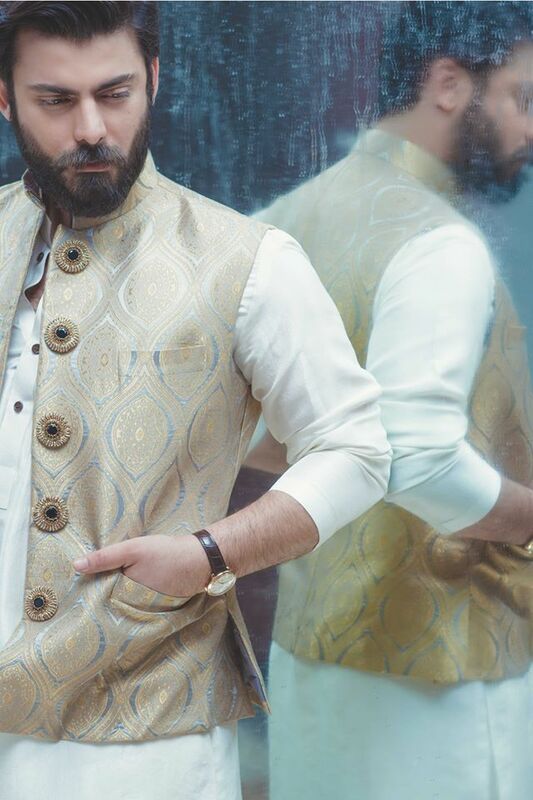 The fascination associated with this brand not only comes with the name of our favorite television star but the amazing quality, designs, and craftsmanship rendered the brand a fine repute in the Pakistan Fashion industry. 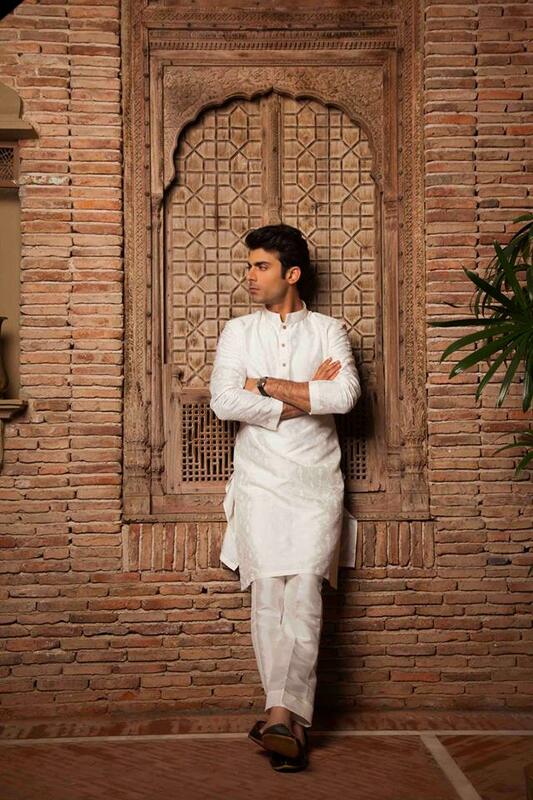 Silk by Fawad Khan is a combined venture initiated by the heartthrob of the country, Fawad Khan, and her talented wife Sadaf Khan. Although it has been few years, since when the clothing line first launched its collection but as of today, the SFK is symbolized with great quality and creative designs. 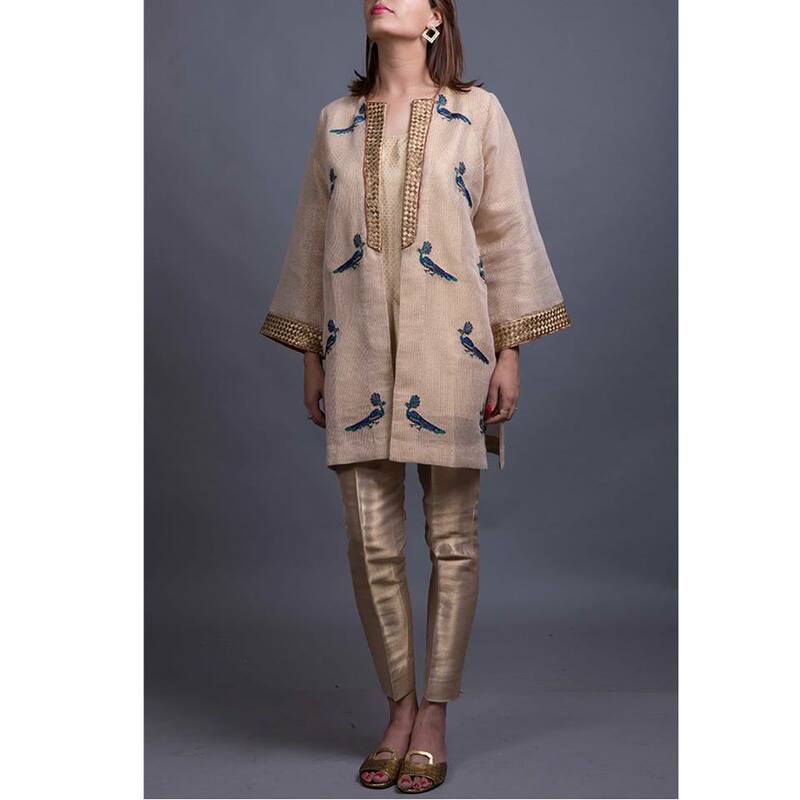 SFK is popular for bringing diversity under a single umbrella and producing genres of crafted dresses both for menswear and womenswear. 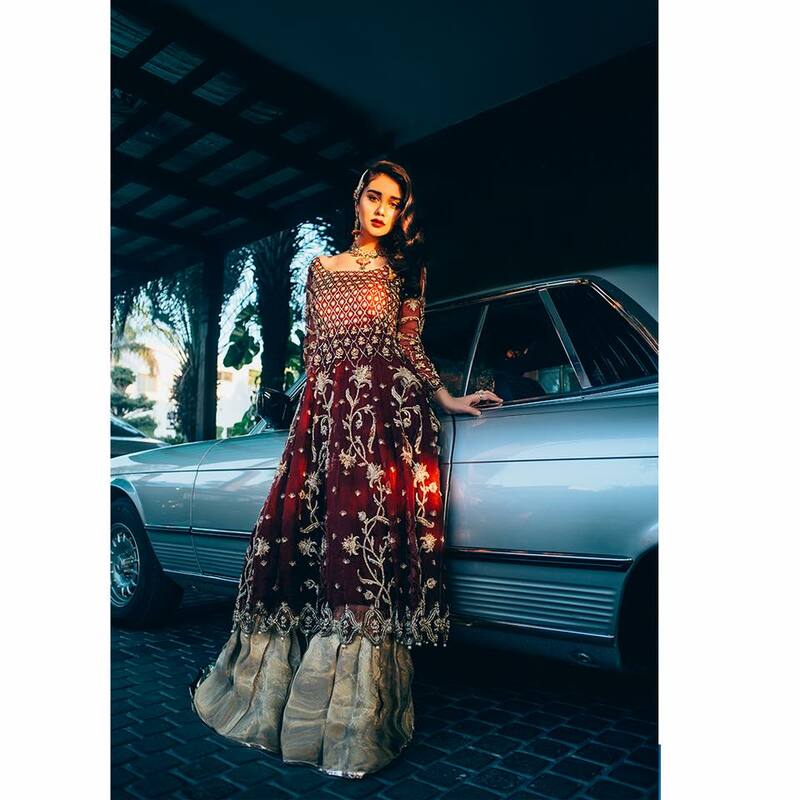 From the classic bridal dresses to the funkiest casual outfits, SFK is revolutionizing Pakistani fashion in its own distinctive style. 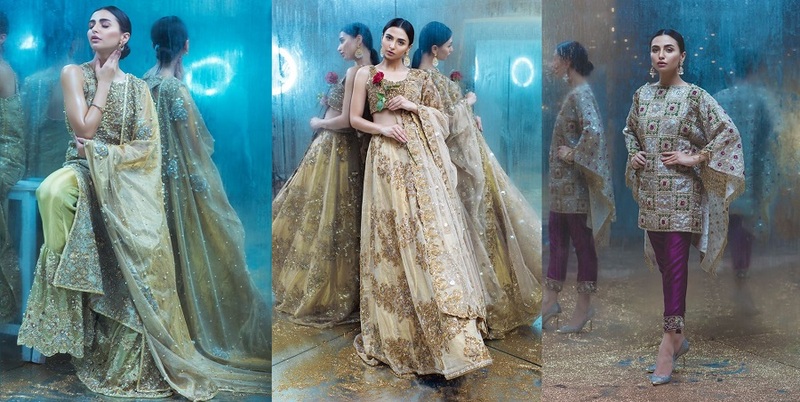 Here we are sharing the Silk By Fawad Khan Latest Bridal Pret Casual Collections 2018. 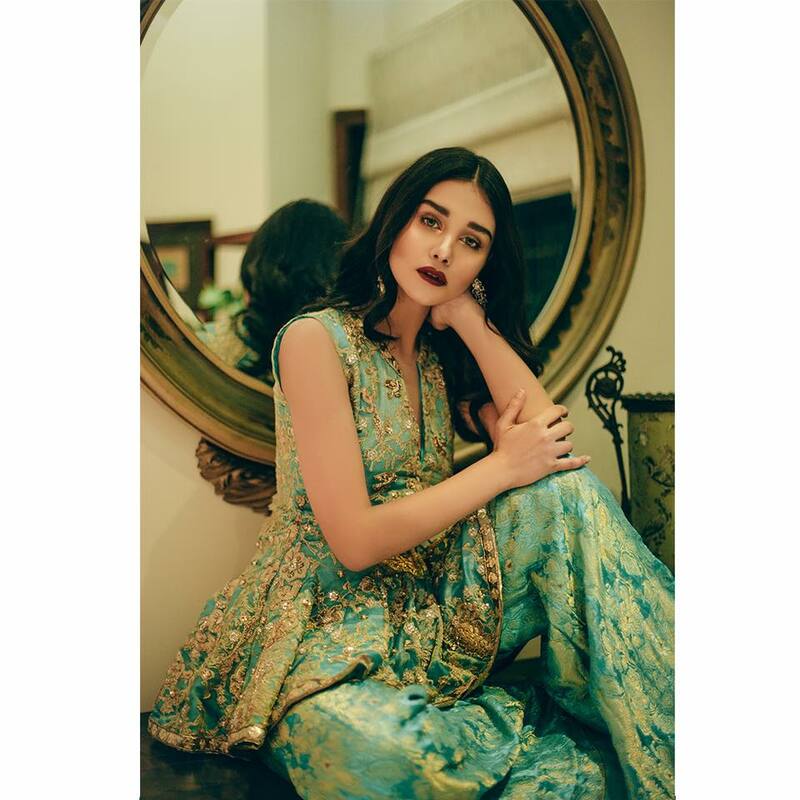 Every year, the brand launches the range of collections encompassing popular dress genres like luxury pret, bridal couture, menswear and casual collection. 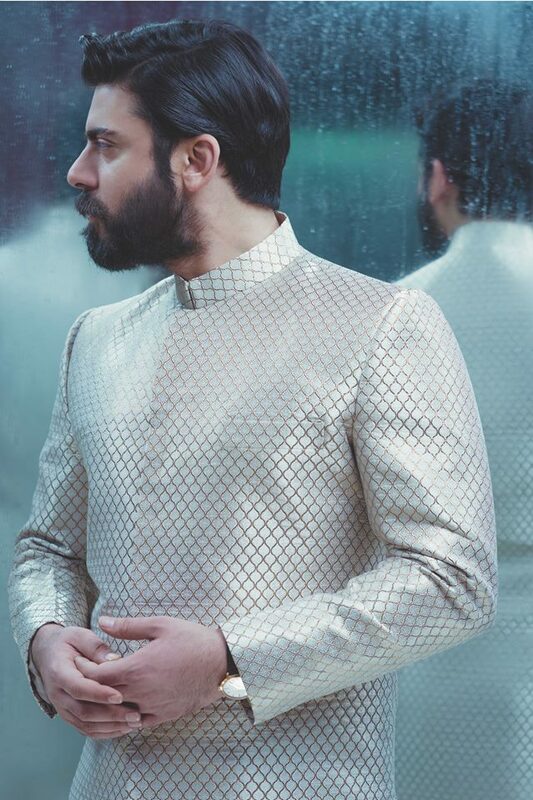 Silk By Fawad Khan Latest Bridal Pret Casual Collections follow the latest ongoing fashion trends and merge them with the signature SFK style. 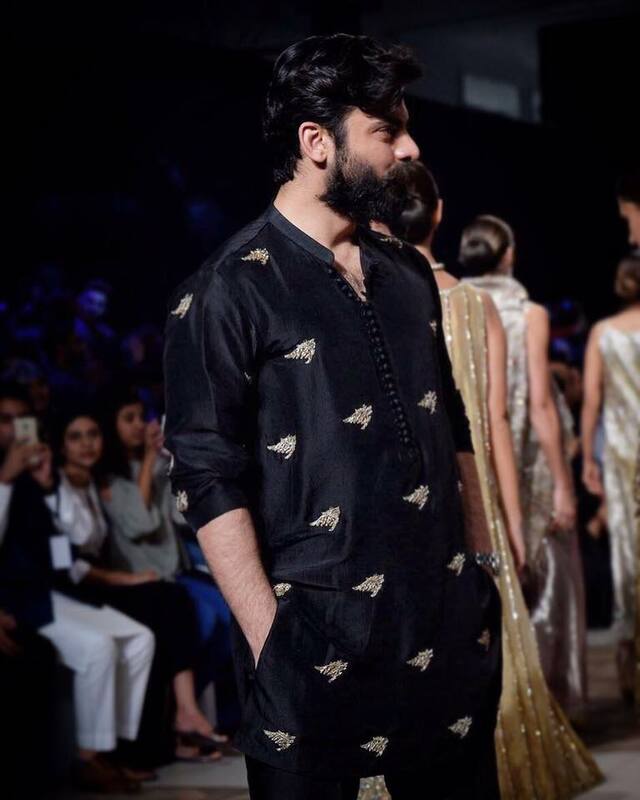 Thus bringing out revolutionary masterpieces in form of each dress. This year too, SFK has proudly launched series of formal and casual wears which incorporates embellished fine silk paired with mesmerizing contrast. Well, it’s about time to end your anticipation through the sneak peek of all latest SFK collections. Well, if you got caught up in the amazing display then it’s all because the collection is a perfect ensemble of shine and shimmer, packed with contemporary cuts and stitches. 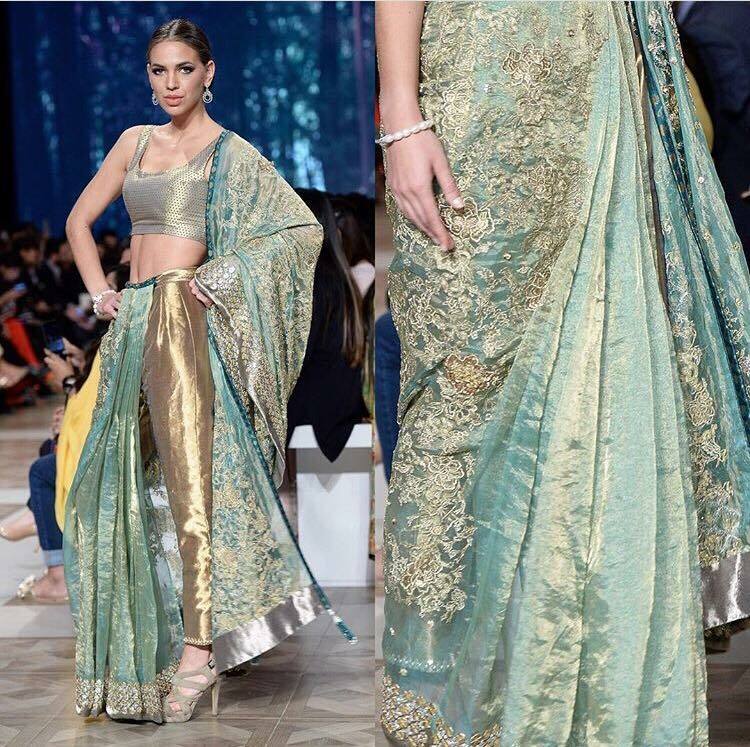 The designers maneuvered to highlight traditional ghararas pants, peplums, lehengas, bell bottoms and trousers with the use of exotic embroideries and with the fusion of zardozi, dabka, zari, beats and thread work. 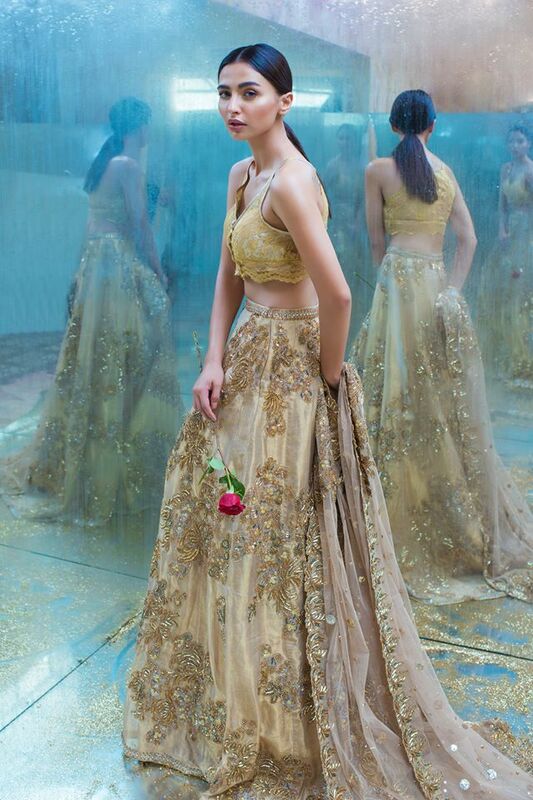 These embellishments incorporate least of extra hues and most of the elegant shades of lime gold, graphite, ivory, beige and silver. What makes this collection more appealing to the consumers if the variety of shades it has covered using evert single dresses. From darkest shades of black to the lightest of the creamy white, soft pastel peaches, pinks or greens, all is there to cater to the variety of the popular choices. 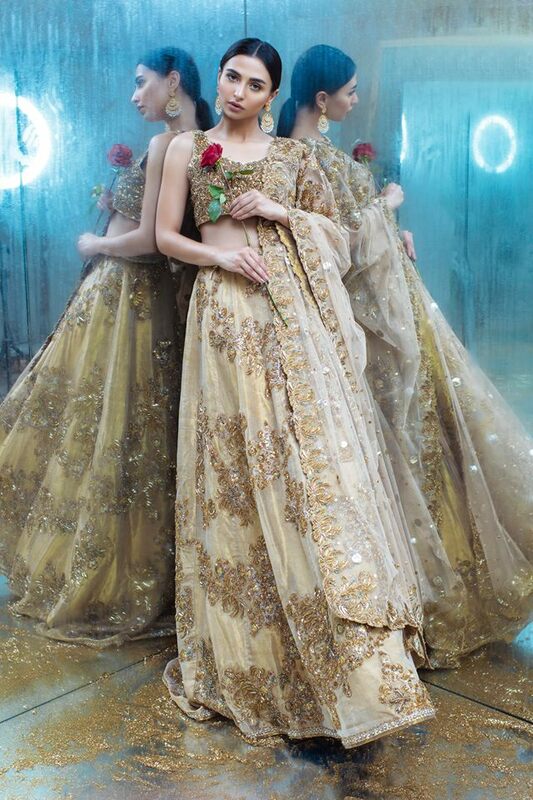 The most stunning surprise, that had shaken the audience, came with the SFK bridal collection. 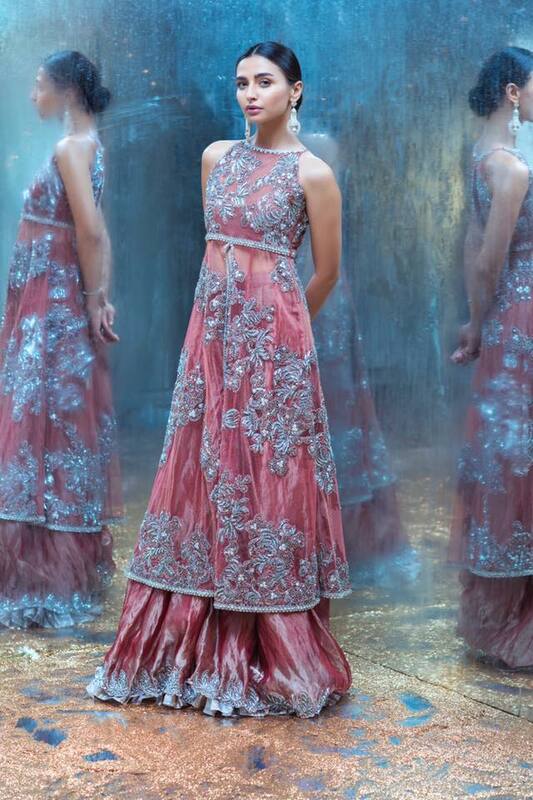 This entire couture consists of an elegantly crafted voluminous dress which has the core filled with a royal and regal appeal. 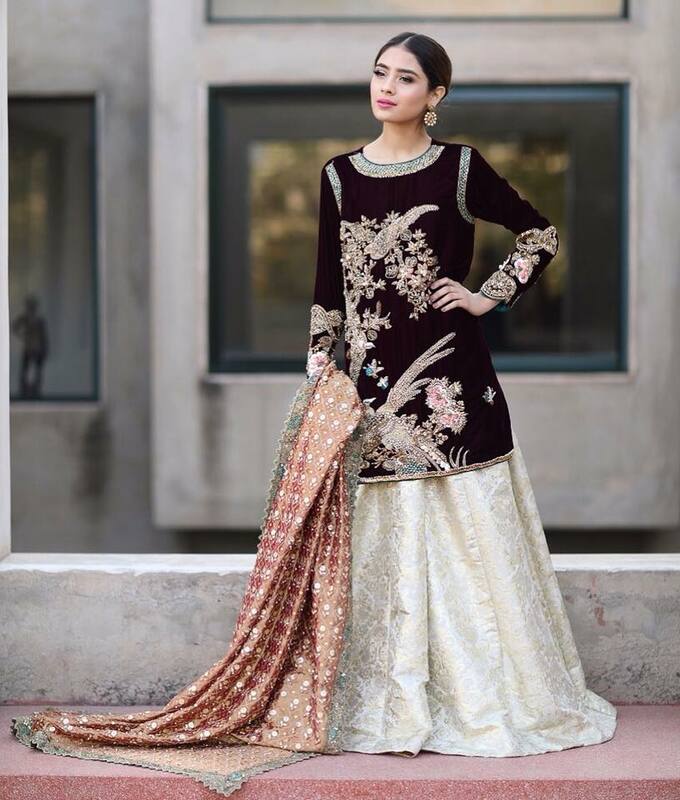 Lehengas remained the major center of the focus which is adorned with the full doze of intricate embellishments in zari and delicate thread work. 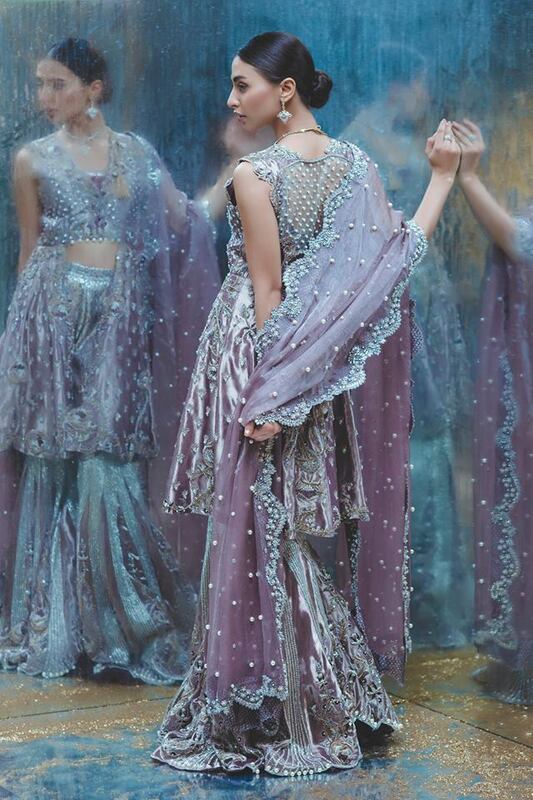 The silk base made the dress even more charming to the eyes and the shades of pink, sea green and mustard looked captivating through the use of fine quality silk. The fabric is not just full of charms and shimmers but it also proved to be lighter to carry and easier to style up for the day. 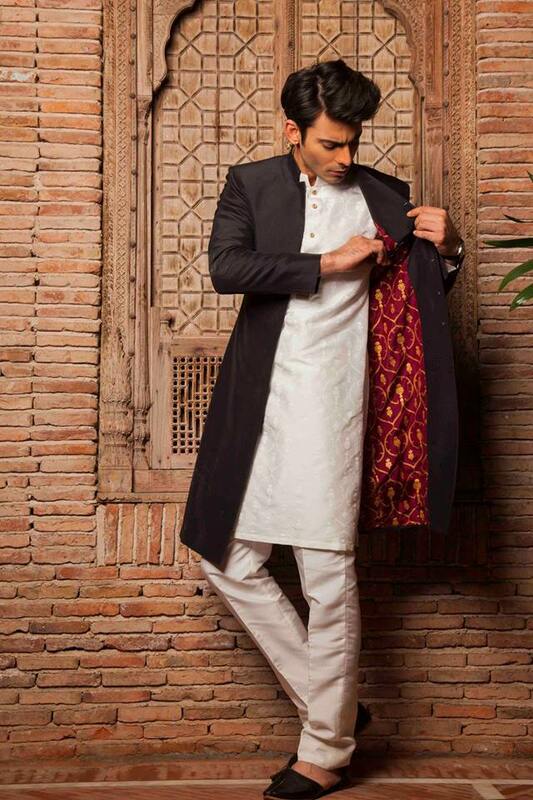 The menswear by SFK is famous for the fine quality fabrics they incorporate and prominent use of motifs and carved buttons. 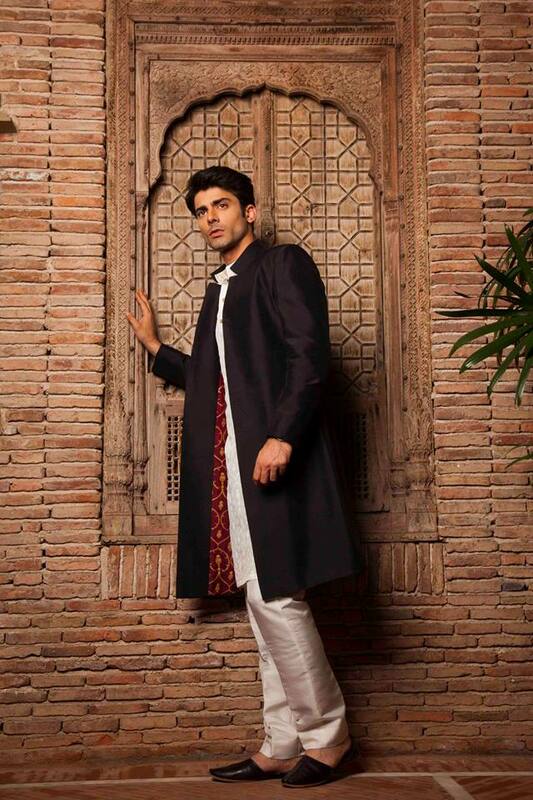 Instead of traditional sherwanis, the collection consists of modern-day embroidered kurtas, waistcoats, Sherwani coats and shalwar kameez. 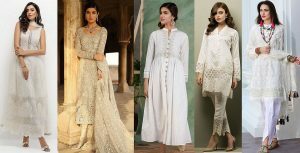 This year, the central shade for motifs is apparently the elegant beige which is coupled with subtle white and graphite black. 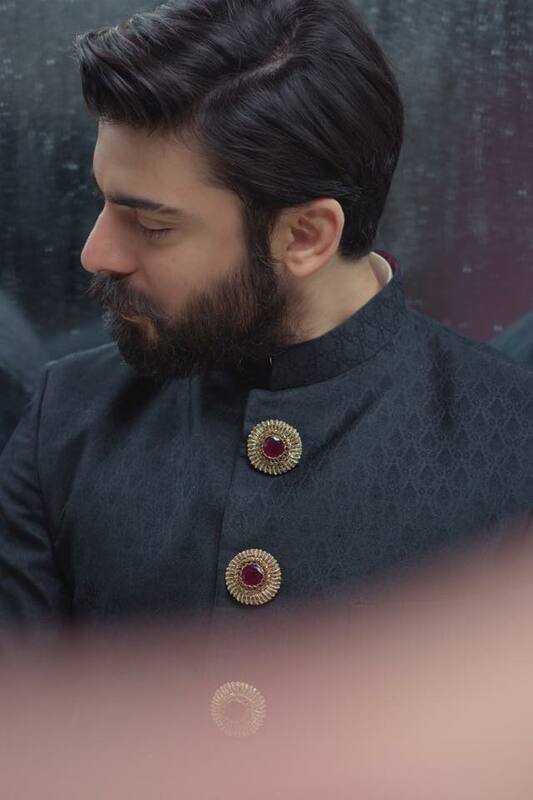 The button on the waistcoats or coats also took the attention when Fawad Khan donned into the amazing couture and or when shown on the cover page. Those ban collars and simplest cuts for sleeves captured rest of our attention. This collection is a mix of traditional heavy menswear designs and modern simplistic patterns, making it easier for all to carry to any formal event. 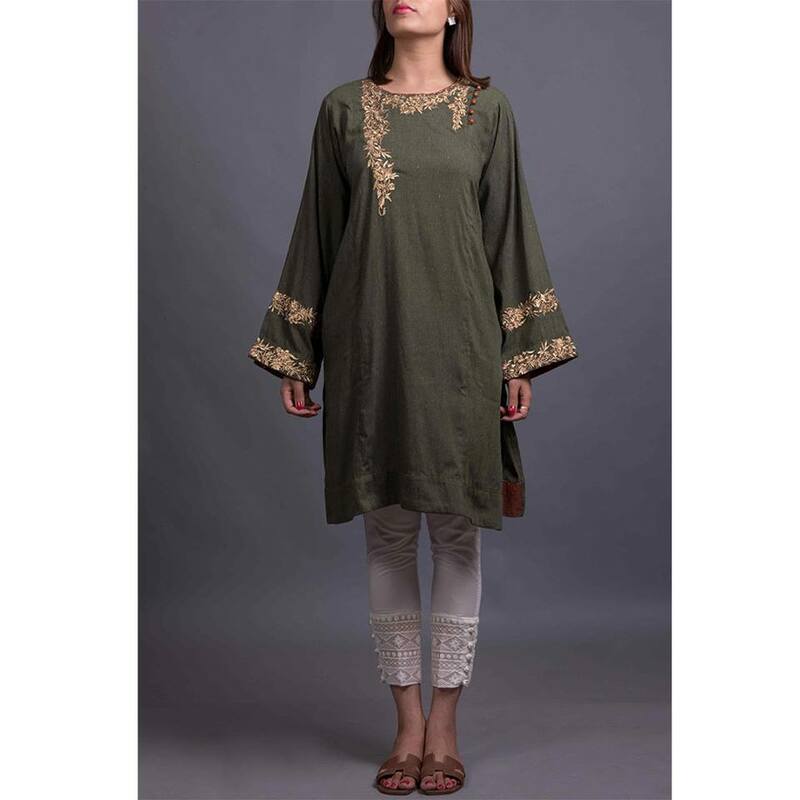 The casual collection is full of recent funky styles of kurtas, tunic, and trendy tops. The emphasis was laid on the colorful prints and the comfy fabrics which would make them ideal to carry in routine, to work or to hangouts. 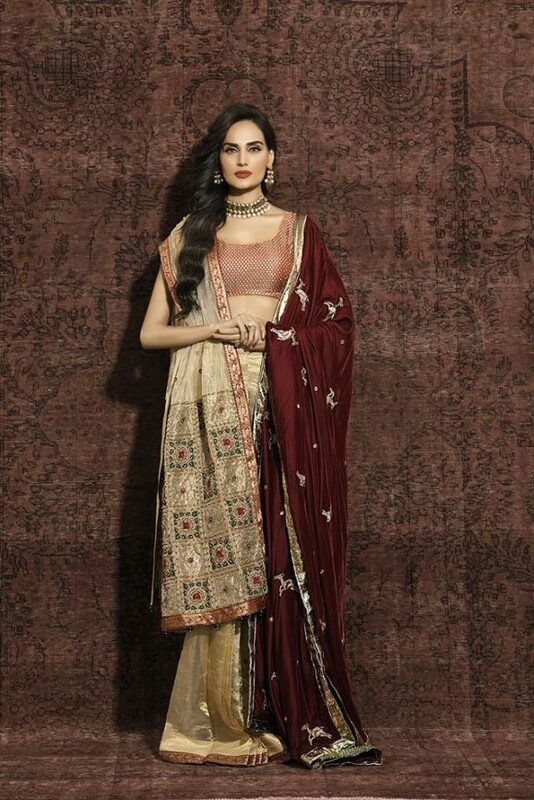 However, most of the pieces are already got out of stock due to the great popularity and demand for the collection. The simplicity of these dresses fascinated many whereas the quality inspired many others. As most of the big fashion corporates do not usually focus on the casual wears, SFK is now leading in the industry by infusing its innovative ideology into the heart of the casual wear styles. As trendy as they may look, they are also equally affordable and economical.